Gambling policy was discussed at a meeting of Shetland’s licensing board. 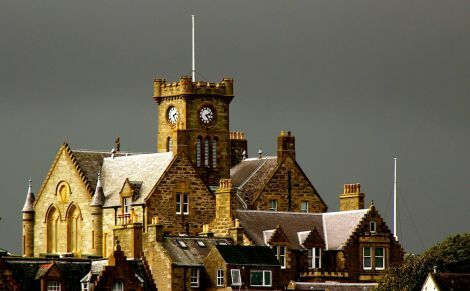 SHETLAND’s relationship with gambling has been brought under the spotlight at Lerwick’s Town Hall – with one councillor suggesting there is a “hidden” problem with online gambling. The Shetland licensing board agreed on Tuesday to adopt its current statement of gambling licensing principles – which gives potential applicants information on complying with the law – for the next three years. A new clause will be inserted to state that any applicant for a gambling premises licence will need to have a policy in place to identify people who may be regarded as “vulnerable” and that they will have procedures to refer them to support agencies. Lerwick North councillor Malcolm Bell said he thought this was a “thoroughly sensible and proportionate” clause to add into the policy statement, which is required under the Gambling Act 2005. Bell added that while Shetland only has one licensed gambling premises – Lerwick betting shop Shetland Turf Accountants – there is still a problem with gambling locally. “I think a lot of that is hidden, a lot of it is online,” Bell said. Shetland South member George Smith argued, however, that without a clear definition of a “vulnerable person”, the new clause would be too subjective to enforce consistently. Fellow councillor Catherine Hughson also questioned how the clause would be policed in practice, although it was said that it could be similar to how pubs and clubs can decide to refuse patrons if they feel they have had too much to drink. In addition to the one licensed gambling premises, there are also seven gaming machine permits, one club gaming machine permit, a club gaming permit and 104 small society lotteries (i.e. raffles) registered in Shetland at the moment. The licensing board, meanwhile, also approved a request from the Sandwick Social Club to allow it to sell alcohol between 8am and 11am on 30 January when it hosts its regular Up Helly Aa breakfast.